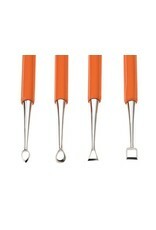 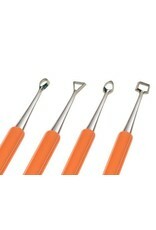 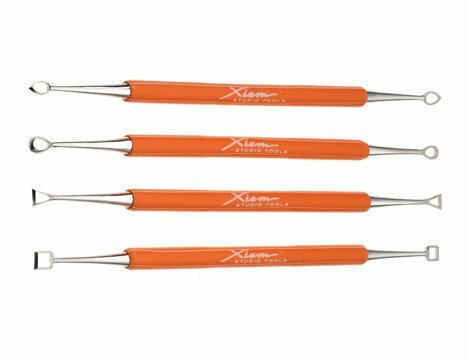 This miniature set with double ends is great for delicate carving and detailing of soft clay. 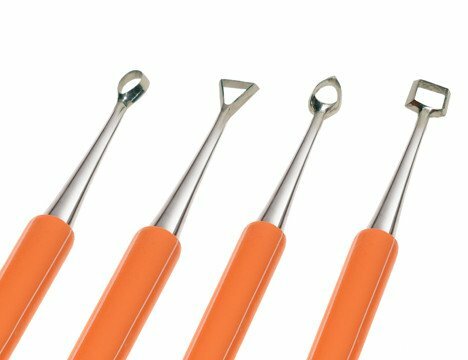 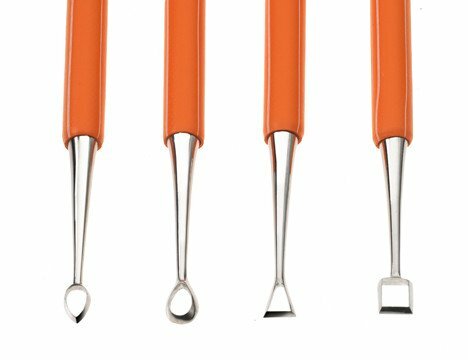 Each tool is handcrafted from high quality stainless steel to ensure a precise cutting edge and has a bright orange rubber handle for a comfortable and secure grip. 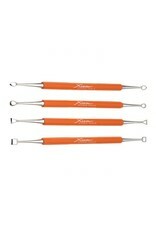 Fun to use and easy to find, these tools can be sharpened.